Bentley is our rat terrier-Jack Russell mix rescue dog. He was 8 months old when we got him - high energy, a jumper and a mind of his own - but handsome! Susan's training for the three of us has profoundly changed us. We have an obedient, loving and positively delicious dog. He really is so much fun to be around. He gets along with the other dogs in the neighborhood. He has helped bring two dogs who escaped from their owner’s homes back to where they belong. He has comforted us in the middle of the night and "protected" us during the day. Because of Susan, we have the pet we have always wanted. As an aside, Susan said Bentley was smart. So, I taught him to say, "Out," when he has to go. He really does say it, and only when he has to go! Susan has REALLY been the trainer we needed to make the three of us happy. Thank you Susan. I have a 10 year old female boxer, Lexie and had just moved to an apartment complex with her. She had previously lived in a single family home for her entire life. She was lunging and barking at cars, people and other dogs. Susan was a Lifesaver. I can ‘t say enough about the wonderful techniques she taught Lexie and I. We will forever be grateful to her! Thanks Susan! Susan was such an amazing trainer! 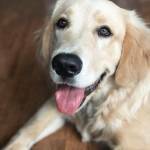 She worked with my daughter, my mom, and I to train our 7-month-old golden retriever. After the first session, he was completely different - he was calm and listening much better. We all could not believe it. Susan did a great job really discussing and answering all the multiple questions we had. It only took a total of three sessions to have our boy trained, happy, and us happy too! I will highly recommend Susan to anyone, we are extremely pleased with what she has done! From the moment I called Susan, I knew she was going to be the best fit for our pup and family. I remember Susan telling me that she usually has dogs trained within three sessions but in order for that to happen it takes the family to also put in the time and work. I thought for sure my 7-month-old puppy would need some extra help but I was shocked at the immediate change after the first session, he was a whole new dog. Susan's obvious love for animals really showed during our training. She not only demonstrated what we needed to do but explained it and why it is important. She was also very kind and patient and did not mind that my mom and grandmother wanted to learn as well. 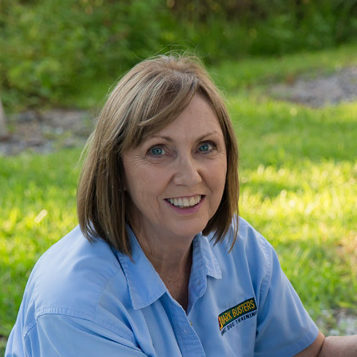 Overall, Susan was a wonderful person to help train my dog and I am very happy I found Bark Busters and her! Susan is an awesome trainer! After the very first lesson we could already see a big difference in the way our German Shepherd Dog, Jake, acts. Before Susan, Jake would literally pull you down the road and bark at everything, people were scared to death of him. Now, he walks loose leash and is way more friendly towards people and other dogs. Jake only gets better and better with every visit with Susan. Our family rescued Roxy December 2016 and tried several methods to train her to stop her habits of jumping on people,sit/stay, and most of all correct front door behavior. Roxy is a very high spirited,over the top energy filled Black Mouth Cur.On the flip side she has a wonderful loving personality that everyone in our family has fallen in love with. But we were at our wits end with how Roxy behaved whenever someone tried to leave or come into the house. We found ourselves barley cracking the door and trying to squeeze out so Roxy would not escape. Then we called Susan Mcnichol and after chatting on the phone with her I think Roxy knew her gig was up! Susan came to our house and immediately shared the Barkbuster techniques and within 24 hours we had a wonderfully changed dog. Our son came home from college and was amazed at how much more calm and enjoyable the house was due to Roxy's new training. Susan, you helped train us to train Roxy and our family is forever grateful. Susan was awesome! Her love for animals comes through in her training techniques. She is very caring and compassionate and understands the bond between the pets and their owners. She was very professional and gave us the training that we needed and our dogs needed to get to the outcome we all wanted. I would highly recommend her to anyone! I rescued George a year ago, and he is now two years old. He still has the energy of a puppy, and had the mind set of an untrained adult wanting to do whatever he pleased. Susan was an excellent trainer (training my dog as well as me) gaining respect from my dog immediately. I feel confident in his current progress, and for his improvement in the future as I can contact her if I forget how to do a specific exercise. I never thought I would be able to train my dog without a shock collar until the training sessions with Susan. Susan is a wonderful trainer. I contacted Susan when I was seriously considering giving my girl up. After the first lesson Susan had me convinced that Sheba is both a very happy and a smart dog. She learns quickly what is expected so I learned quickly that the biggest challenge is not Sheba, but for me to consistently apply what we learn. Susan listens to my concerns and when one method doesn't work she is right there with another. Sheba loves & respects her. My primary goal was to be able to enjoy a loose leash walk - and now we do! Sheba has dog aggression and we addressed it quite effectively by establishing & maintaining good walking habits - plus a couple of tricks out of Susan's deep bag! We're still working on it, but the change in Sheba is dramatic. I love the lack of words and use of sounds & tones to get Sheba to respond. Sheba is in her forever home and we'll continue to work & play together. We could have had a very different outcome if I hadn't called Susan. Thank you Susan! Susan was great! She helped us cover all topics we were in need for! We are so please with Chiefa's outcome. She has come such a long way in just a month Thanks Susan you're awesome !! Susan was wonderful to work with! Before training with her, I was terrified to have people over to the house or take Sky to the dog park. As a rescue, he was terrified of men and often acted out aggressively when he felt threatened. Susan was very knowledgeable and calm, which helped me remain calm and learn how to assert control in situations when Sky would become aggressive. Susan has taught me techniques that I use on a daily basis and her training has helped me finally feel confident in my ability to communicate with Sky. Bentley is our rat terrier-Jack Russell mix rescue dog. He was 8 months old when we got him - high energy, a jumper and a mind of his own - but handsome! Susan's training for the three of us has profoundly changed us. We have an obedient, loving and positively delicious dog. He really is so much fun to be around. He gets along with the other dogs in the neighborhood. He has helped bring two dogs who escaped from their owners homes back to where they belong. He has comforted us in the middle of the night and "protected" us during the day. Because of Susan, we have the pet we have always wanted. As an aside, Susan said Bentley was smart. So, I taught him to say, "Out," when he has to go. He really does say it, and only when he has to go! Susan has REALLY been the trainer we needed to make the three of us happy. Thank you Susan. Bosco is a 3 year old Havanese that barked, jumped and was out if control when someone came to the door. Susan gave us the tools to keep him back from the door and wait until we released him. We worked with Bosco every day for at least 20 minutes and within a few days he did it perfectly. We now can answer the door, receive food or packages with him waiting away from the door until we say it's ok to come. We use the same technique when landscapers or other maintenance people are around. What a difference to not hear barking when someone arrives! We adopted our dog Piper in January 2015 from a pet rescue. Piper had fear issues and within a few weeks it developed into protective aggression towards outside people and animals. As her sense of belonging and level of comfort with her new home and family grew it seemed to be getting worse. Things were so bad that nothing we did could break her attention from whatever issue she was ï¿½attackingï¿½. We knew right away that we needed help! 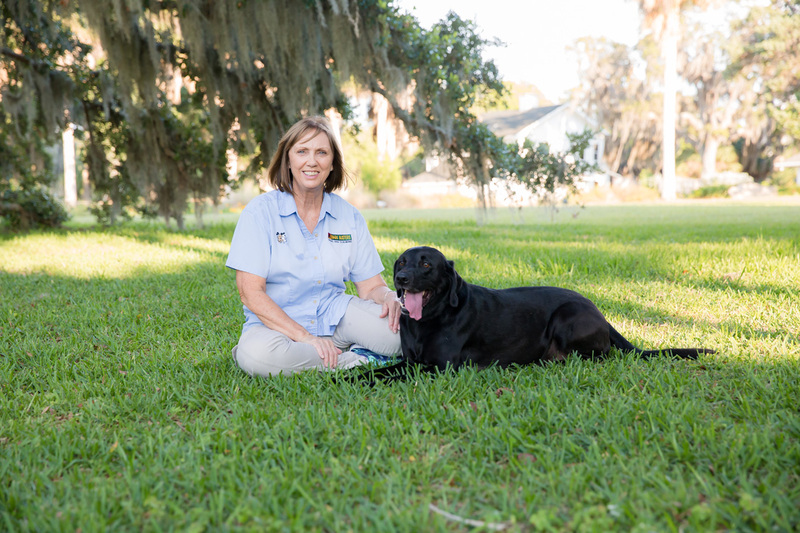 Thankfully we were referred to Susan with Bark Busters by our veterinarianï¿½s office. Susan came to our home to help us work with Piper. Immediately Susanï¿½s help and instruction showed results. After the first session we knew how to watch Piperï¿½s body language and also our own. We better understood developing consistent commands and rewards to reinforce desired behavior. Very quickly we were able to help Piper understand the family hierarchy and allow her to relax knowing that she didnï¿½t need to be the protector. By the second session with Susan, Piper was a new dog! Now Piper is a great listener, and I know I can gain her attention under any circumstance. We are so very thankful to Susan and Bark Busters for helping us reach the lovable gentle dog we knew Piper could be. I would like to praise the training for us and our Lab puppy that Susan has provided while we have been in Florida. Bailey is a very large, strong 8 month old who has been quite difficult for us to control. Susan has demonstrated training that has helped us progress in controlling him around people and other dogs. coming when called, and leash walking. Many thanks for your service. I highly recommend Susan and Bark Busters for providing much needed help. 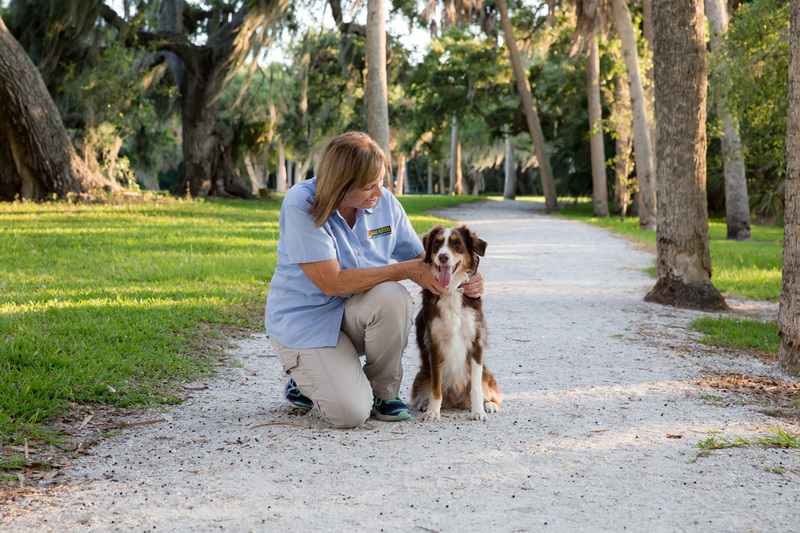 I'm your local Bark Busters behavioral therapist and Master Dog Trainer, servicing Sarasota County and Bradenton area. Helping people and dogs coexist in a happy, relaxed environment is my passion.